In this video, I'll show you how easy it is to embed audio or videos into your posts and pages. The easiest way to embed a video on your own site is to first upload it to a video hosting service, like YouTube or Vimeo. Once your video has been uploaded and converted successfully, you can simply copy the embed code and then paste it into a new post. But there's an even easier way to do this, thanks to the auto-embed feature in WordPress. For example, here's a video animation of a retro rocket that I'd like to embed on my site. To begin, all we need to do is copy the URL to this video's page on Vimeo.Next, we'll switch to our site, where I've already begun creating a new post. 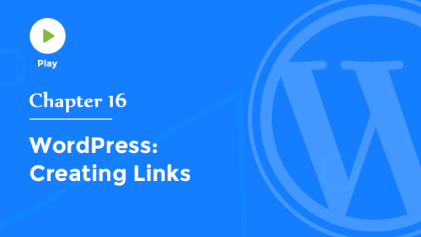 Now, I'll simply paste the URL that we copied from the Vimeo page into the content area, and WordPress will automatically create a preview of what the video will look like in action. These real time previews also work with YouTube URLs or even other services, like Twitter. Now, I'll click Preview, and we'll see that WordPress has not only embedded the video nicely, but it has also automatically resized it for us, filling up the exact width of the content area perfectly. You can also use this same method to embed media from other services including Flickr, Instagram, SlideShare, SoundCloud, Twitter, and even more. 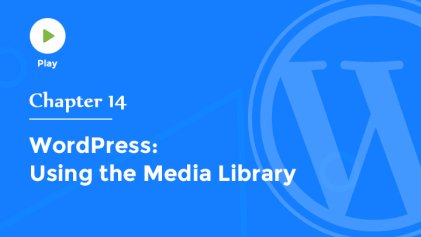 You can visit the WordPress codex for a list of sites and services that support auto embeds. If for some reason auto embeds don't work on your site, or if you prefer more control over the size and appearance of embedded videos,you can still manually embed them. Generally the auto-embed method is much easier, and I recommend using it whenever possible. (light music) Now at this point, we've learned how to add photos and videos to our posts, but you can also upload audio files. And WordPress will even create a playlist if you upload multiple audio files to a single post. For example, I've got a handful of MP3 files here on my desktop, and I'd like to create a fun playlist of rocket themed songs. So I'll simply drag and drop those audio files into the editor, and when they're finished uploading, I'll choose Create Audio Playlist from the menu on the left. Then click the Create a new playlist button.Now, just like the process for editing a photo gallery, we can easily reverse the order of these tracks,or drag and drop them into any order you choose. In the playlist settings, you can choose whether to display the tracklist, show the artist's name, and show the cover artwork for each track. I'll just click Insert Audio Playlist, and now you can see that WordPress has created this mini audio player with all of our tracks.You can edit the playlist at any time, or choose any of the tracks from the list to begin playing them right in our web browser. You can use this exact same process to create a video playlist, but remember, video files are much larger than audio files, so it's usually a better idea to use a third-party video host like we demonstrated earlier in this video. But whichever method you choose, these tools make it easy to add audio and video to your site.